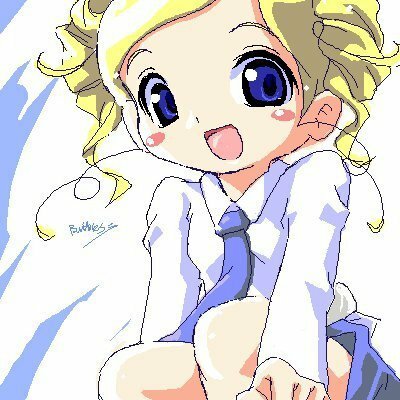 Miyako: Lalalala. *sigh* Having a beauty face to take care is really hard. Oh well, lalalalala. What should I wear to school today? A dress? A miniskirt? Or something random and cute? For me to be popular is a great image to control. Aha! I'll wear this to school. Miyako: Sheesh! Momoko, you shouldn't talk with a big bread in your mouth. It's really impolite. As usual she wore a wrinkly and old torn green shirt with a forest green sweater vest along with green and white cleats.